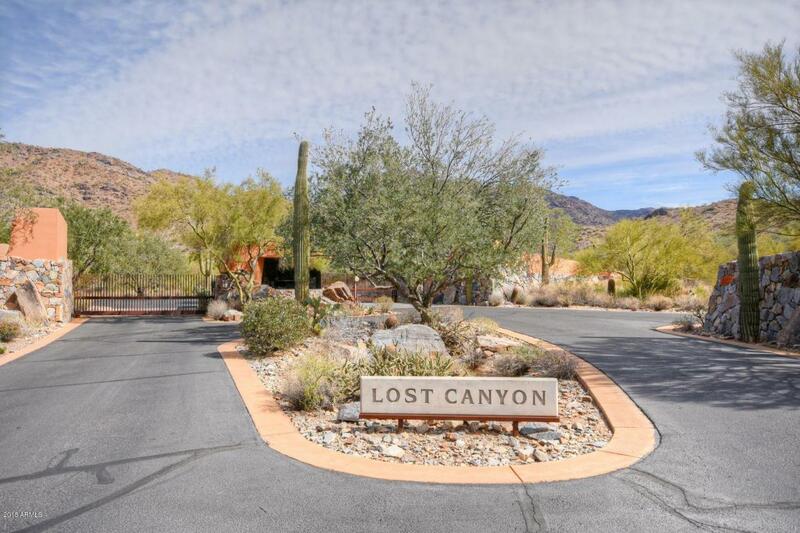 Incredible views from this 7.38 acre lot in the secluded and highly secured community of Lost Canyon. 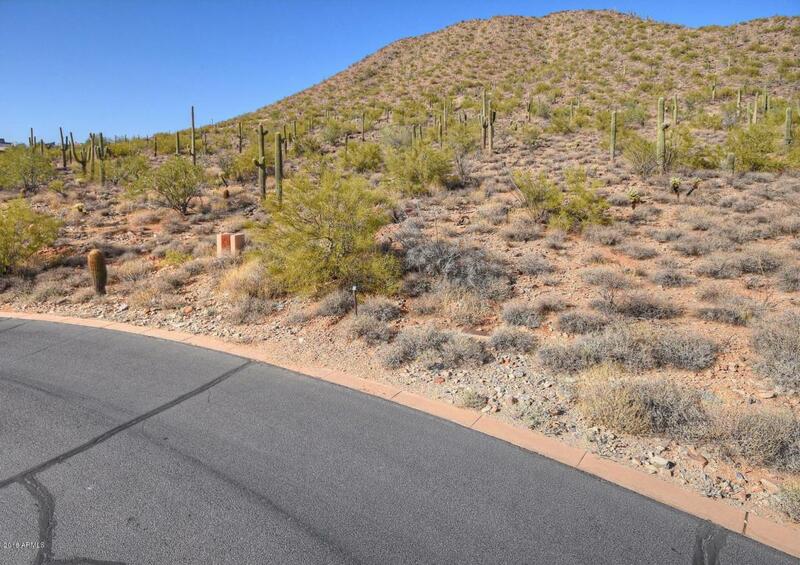 Arguably the best priced premium view lot available in North Scottsdale that can not be duplicated. Premium location on the North side of the community. Large building envelope above adjacent lots provides for unobstructed panoramic views. Gradual slope with no wash crossings that will allow for dramatic setting with reasonable site prop. costs. 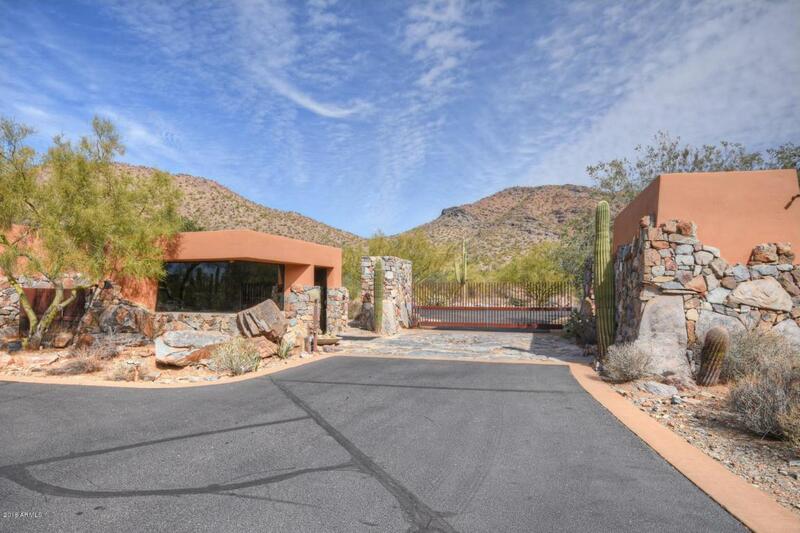 This community is the best kept secret in North Scottsdale. 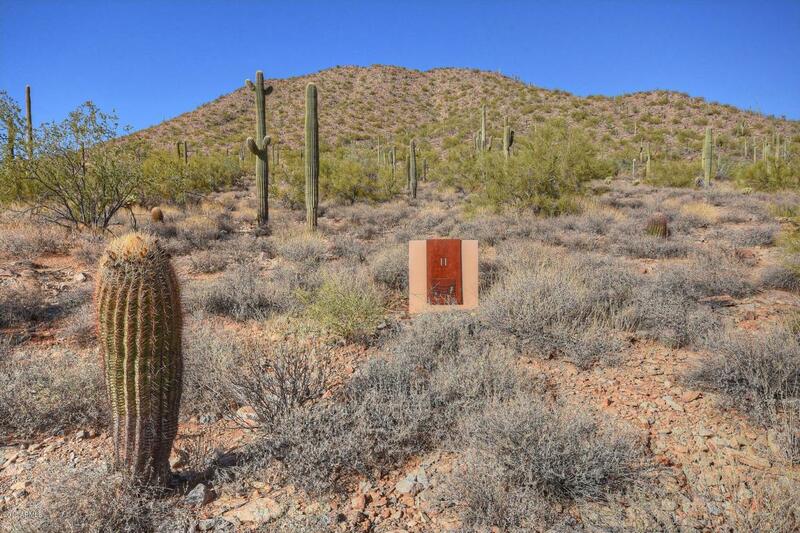 If you want close in privacy with mountain beauty this is it. 24-hour manned security gate.